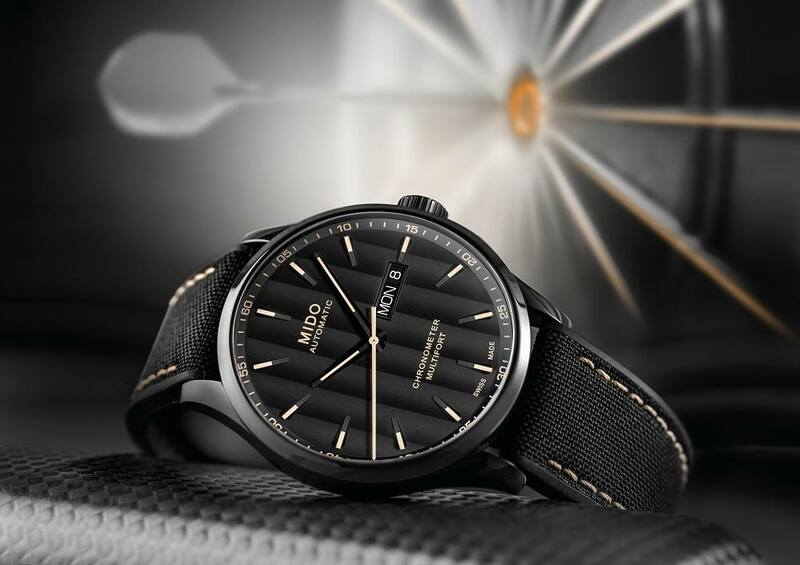 The new Mido Multifort Chronometer1 is a casual-chic and urban design timepiece equipped with a very precise movement that is at the forefront of watchmaking technology. 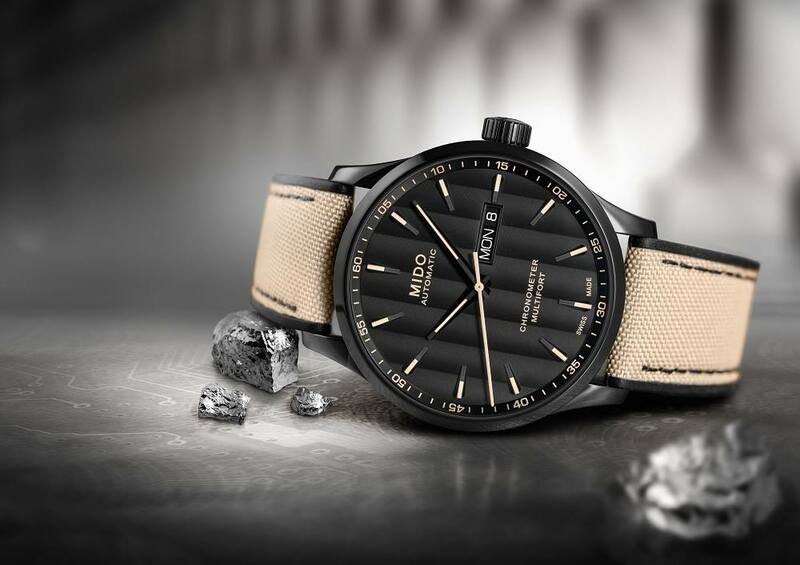 This new release updates Mido’s iconic collection with a timepiece that is both elegant and timeless – a combination of this collection’s reputation and the very latest in technology. Its black dial provides a sophisticated contrast between the wide Geneva stripes and beige Super-LumiNova® hands. This Multifort model is fitted with a sturdy, satin-finished, polished, 42 mm case with black PVD treatment, and is supplied with a rubber strap with fabric insert that is perfect in all circumstances. The Multifort Chronometer1 is the first model in this collection to be fitted with the Caliber 80 Si: usually reserved for luxury watchmaking, this COSC-certified chronometer movement features a silicon balance-spring and provides outstanding accuracy with shock-resistance as well as exceptional autonomy of up to 80 hours. Launched in 1934, just two years after the completion of the Sydney Harbour Bridge, the Multifort collection shares some remarkable characteristics with the famous structure: a perfect balance between function and aesthetics. 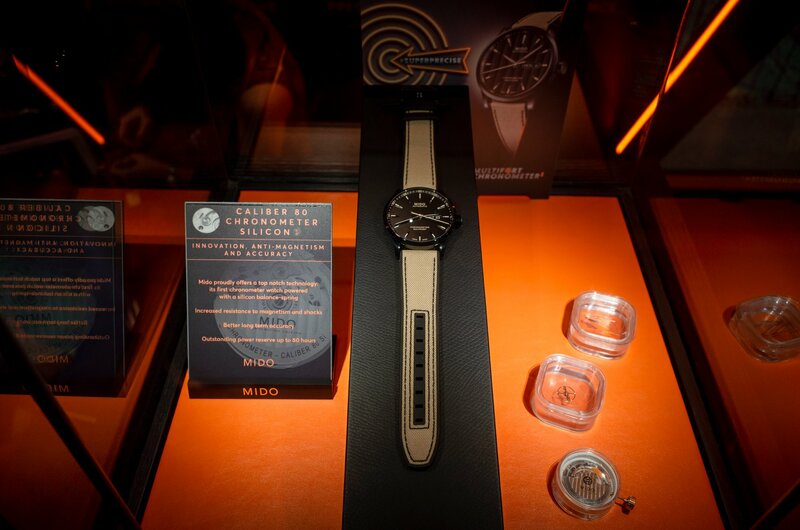 Mido celebrated the 80th anniversary of Multifort production in 2014, making this emblematic collection one of the longest-produced series in the history of Swiss watchmaking. Its wide, vertical Geneva stripes evoke the suspension cables on Sydney Harbour Bridge and provide a subtle contrast with the beige Super-LumiNova® hands. The aperture at 3 o’clock indicates the day and date. The hour and minute hands are diamond-cut, satin-finished and triple faceted, with the seconds hands diamond-cut. They are all treated in beige Super-LumiNova® for easy readability at night. The high-end finishes can be admired through a domed sapphire crystal with a double-sided anti-reflective treatment. The Multifort Chronometer1 is a first for this historic collection. It is the first model to be fitted with the Caliber 80 Si, a COSC-certified chronometer movement featuring a silicon balance-spring. Essential in luxury watchmaking, this component offers far greater long-term accuracy than a standard balance-spring and improved resistance to magnetic fields and impacts. This latest-generation calibre also gives it formidable autonomy, with up to 80 hours of power reserve. Decorated with blued screws and an oscillating weight adorned with Geneva Stripes and the Mido logo, this chronometer movement can be admired through the transparent case back. The Multifort Chronometer1 is a casual-chic timepiece with a distinctly contemporary spirit, and is supplied with a rubber strap with fabric insert, a state-of-the-art material that is extremely comfortable to wear and perfect for any occasion. Two versions are available: black with beige stitching or beige with black stitching. These two straps are fitted with a stainless steel pin buckle with black PVD treatment. The Multifort Chronometer1 is water-resistant up to a pressure of 10 bars (100 m / 330 ft). 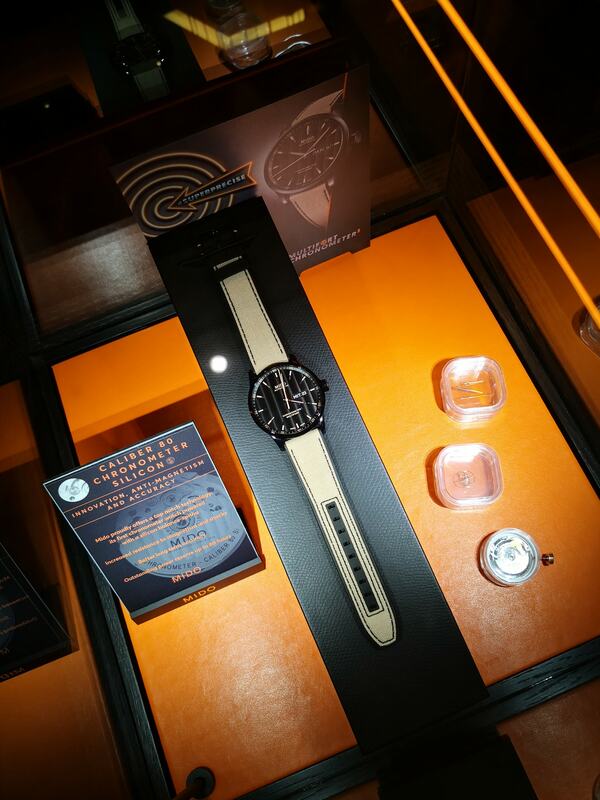 Five other versions of this model are also available, in steel and rose gold PVD, with a steel or leather bracelet.